Imagine if your head was in a metal box and your neck didn’t move. In fact your entire body was rigid, like a quadriplegic locked into a wheelchair. You can only look straight ahead and, at any given time, your eyes are locked on a certain point. Some things are in focus, others are blurry and indistinct. Fortunately that’s not how you see. But it is how a camera sees. A camera sees only from a one-point, locked perspective that creates a single image of a specific vantage point with certain focal characteristics. When we look at something, our eyes constantly move about. Even if we are sitting down in a chair, our eyes dart around, passing back-and-forth over different details, noticing one aspect and sliding quickly to some other point, perhaps paying less attention to certain information between. Our impression of what we’re looking at is actually lots of different perspectives all blending into one undulating picture. And because our eyes focus on points that are different distances from us, flexing and bending our lenses, absorbing different amounts of light and therefore changing the quality of information that we absorb, all these different images that we are recording are in fact quite different from each other. One might have a wide-angle perspective, then one might feel like our aperture is more open, while another is focusing more on black-and-white information about edges or shadows, another is saturated by color. This process of observing is what goes on when we draw too. If we are drawing a landscape, an urban street scene for example, we look at the corner of the building on the left in lots of technical ways quite different from the way we are observing the street sign right in front of us or the blades of grass below or the mass of leaves on a tree above. We look at one section of the view and record it in a certain way and then we change our tools, bend lines, shift focus, let in more light from the shadows, record details all in different ways. 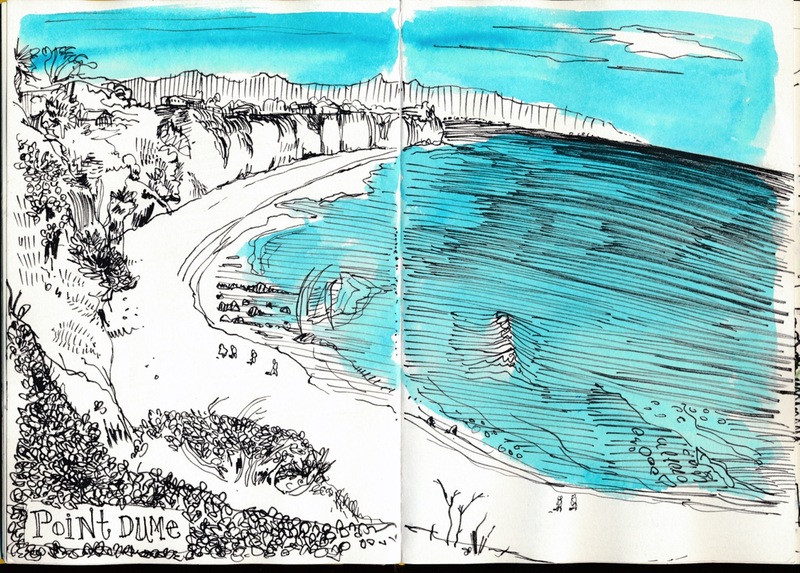 An interesting drawing is a record of all those different forms of observation on one place. Do you see how fundamentally different that is from taking a photograph? The camera is observing everything in the same way at the same instant, with no consideration of what it is. But we observe in a cumulative fashion, first taking the scene quickly and then scrutinizing and observing a myriad of details. When we draw from a photograph you don’t have the benefit of all those different forms of observation. We are locked into that single view the camera gives. It takes time and lots of observations to record the rich scene before us. The image unfolds and gets more detailed from the more perspectives you acccumulate as you spend more time drawing. That’s what gives the drawing life, that someone was living when they made, living over a period of time. Photographs don’t have that advantage, that mystery, that richness. Photos also don’t include all of the information that go into the experience of the moment. The photographer can’t record the smells, the sounds, the movements, the moments, the moods, that he is feeling and experiencing. His camera is just recording the light waves. But when you make a drawing you have the opportunity to convey all of those diverse experiences and impressions as well. The drawing done by somebody standing in an uncomfortable and cramped position is very different from the drawing done by somebody sitting in a plush armchair. The scene they are looking at is the same but the way in which they are seeing it is influenced by their physical comfort. So the person who is rushed, or in love, or worried about paying the rent, will make a different sort of drawing. If you focus entirely on creating what you think is an accurate representation, it would seem that using a photograph as the basis of your drawing gives you an advantage. But the fact is the camera see the world differently than human beings do. And that’s why drawings done by people are very different from the mechanical event that is a photograph, or even the mechanical process that is a drawing done from a photograph. Life is so complex, so rich, so ever-shifting, and the wonderful power of art (that has never been eclipsed by the invention of the camera) is to capture that experience and share it with others who are also alive. See? To ‘get’ Cubism’ just look at your lover’s face at very close quarters! Have really enjoyed your recent blogs. Your insights into things are illuminating and much appreciated. All I’ve got to do is remember your explanations and let them seep into my art. You also give me the impetus to want to share your thoughts and mine with others. Thanks. I admit that drawing from photos is a little lazy on my part, because the frame gives me the negative space around the subject. If I want to get that contour really right, I flip the photo upside down. Drawing from real life, I have to mentally create the frame. But, I find that drawing from photos helps me to improve rapidly and also helps me draw from imagination. For every 10 things I draw, I use reference for about 6 and 2 are from my head, the other 2 from life. Eventually I want those numbers to shift, so I need to push myself a bit harder. Huh. Who’d have thunk it! Your explanation sheds light on why most people begin their art adventure using photographs to get the scale and technique right then move on to plein air. Not only do their later paintings look better because they are growing as an artist… but also because of everything you mentioned above. Thanks again for ‘shedding the light’. Recently …I overanalyzed my drawing outdoors process …that I LOVE but in my case, is mostly based on pictures from old books that I carry around, so its based on photographs. Yeah I’m breathing and maybe recording in my drawing the outdoor smell…but.. I don’t like to label myself… I’m in fact a figurative-“inclined artist”…so my subjects outdoors are almost impossible to find. It needs to be people, as close as possible, as still as possible it becomes almost intimal:0)… Unless I’m drawing my friends that I’m hanging out with and ask them nicely not to move much (they like it but their entertaining time stops there; plus there are hardly natural- they became stiff; while a picture can capture a natural moment of him/her..) …So in fact, ..there is not much out there for me, is it ?? David Hockney explored this during his polaroids phase: he collaged LOTS of polaroids to get an image of a place that was closer to how our eyes and brain process it. I’m pretty sure that it is in Secret Knowledge he talks about how photographs capture a small segment of the reality of what we see, so he used so many of them to capture something that was far beyond the image in one photo. He too referenced how the Cubists worked. Now, back to chores and sketching. I need to reverse my priority order! Terrific explanation & post! I took a class recently in sketching buildings and the teacher said she can always tell when a drawing is made from a photograph! She didn’t explain and I was sorry later that I didn’t ask how she knew. This explains it!! Danny, this is a great explanation of how drawing from life differs from drawing from photographs. And I mostly agree… But I know when I draw from a photograph I’ve taken myself, i find that the combination of focusing on the image of a scene, and concentrating on drawing it, does transport me back to the scene, so I am remembering the feelings and smells and sounds as I draw. I guess the photo is a trigger for memories and so while it’s not the immediate, full experience of drawing on scene, it feels a bit like time travel and I find myself reliving the sensation of being where I took the photo, in a way that is quite different from just looking at the photo. Wonderful post, Danny — thanks so much! I am a photographer, but was a “drawer” before that and I love to draw for the very reasons you just described. However, I feel that my photography has influenced my drawing in a negative way, again, for the very reasons you talked about — I have found myself struggling in my drawing to keep from trying to record a scene exactly the way I would with my camera, if that makes sense. Thanks for reminding me of what I’m trying to do with my drawing and record a moment in a place and all the facets that make it stay alive in my memory. Absolutely SO TRUE, and I was about to say what Diane said, so I’ll add that it was my H.S. art teacher who claimed that, and I have followed his advice for 50 years!!!!!!!!!!! He also urged me to develop the artist within me, now that I had learned w/c technique, stating that I don’t need to let anyone else tell me how to paint and draw. I have often struggled for the words to express why I prefer to draw what I see rather than take a picture. Not that I eschew all cameras. Sometimes it’s nice to have a comparison or an exact representation of a colour for back in the studio. This is wonderful! I so enjoy your writing! You’ve brought to the surface words that I only have far back in my mind. but seldom acknowledge aloud! I’m still seeing your description of drawing toast! Since being introduced to you a good number of years ago, my sense of life has changed enormously! First, reading your books and now face to face on my computer screen…perhaps some day in 3-D… you’ve allowed me to know a broader world. I’m looking forward to “seeing” much, much more over the next weeks. Take care and stay well. Danny, I have ready many drawing books and had a variety of art teachers but hands down, your thoughts “on Seeing” are the most simple, elegant and inspiring I have ever read save one single soul… Robert Henri and to be in his club you are in very good company indeed. I carry his book The Art Spirit, to keep me company and remind me of why I am doing this art path. 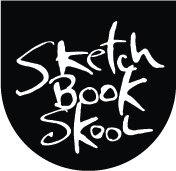 Many Thanks again for not only your words but your deeds(creating Sketchbook Skool is one of the coolest gifts to the online art community ever) and your books—well, they are (almost) better than chocolate! I’ve always wondered why my brother (my art teacher) didn’t recommend drawing from photos. Thanks for explaining it so well. Thanks, Danny! A refreshing and insightful post! That is why your drawings, Tommy’s and other sketchers’ have such energy in them! A sketch made from the real life setting, in real time and with the full spectrum of the experience has a special energy to it. Love it! I wish I could explain exactly how it made me feel, reading your descriptions of the technical process of seeing. I study the brain (quite passionately) and I find beauty in understanding. You have a nice little grasp on that information and an even better hold on your use of language. This is my experience exactly. When I first started drawing I was intimidated to draw from life, thinking it would be harder. I was amazed to find it was actually easier, especially of people. This is so interesting! When I draw a wrong line and redraw over it, that actually mimics how we see 2 views of everything, one with each eye. Our brain combines it, but those “searching” lines are like how we actually see. So as we struggle with our impossible drawings, we are recording very authentic and truthful experiences. Hey Danny, I know I’ve been on here already today and certainly don’t wish to be a bore but I’ve reread your article several times today and just wish to say, once again, a big bloomin’ thank you! Some things just hit you like a wrecking ball, (a wrecking ball made out of downy feathers), but in a pleasant way. I’ve forwarded to a number of friends too. You have managed to put into words something I somehow feel but wouldn’t know where to start verbalising. I’m at Roz’s klass and now I understand what she said! thanks skool has been life changing! Okay, breathe, analyze, go deeper, then write reply. I draw, paint, sketch. I am also a photographer. I agree fully with most of what you say but there is a way to photograph your experience so that it reflects all of what drawing might. It is formally called Miksang Contemplative Photography but many people have come by it on their own. When you discuss drawing from photographs (especially those you haven’t taken), I agree. It is like kissing your lover through a cheese wrapper. But maybe, somehow, you have to settle for that and it is better than not kissing at all. But taking photographs mindfully can be every bit as rich an experience as sketching mindfully. It is the mindful part that needs to be paid attention to. I think what most of us know is that it is easier to be mindless with a camera than with a pen. That is true. thank you for allowing my loving if dissenting voice to be heard.